Can you guess what freshly dried ingredient this is!? Are you into slow cooking? Have you even heard of it before? 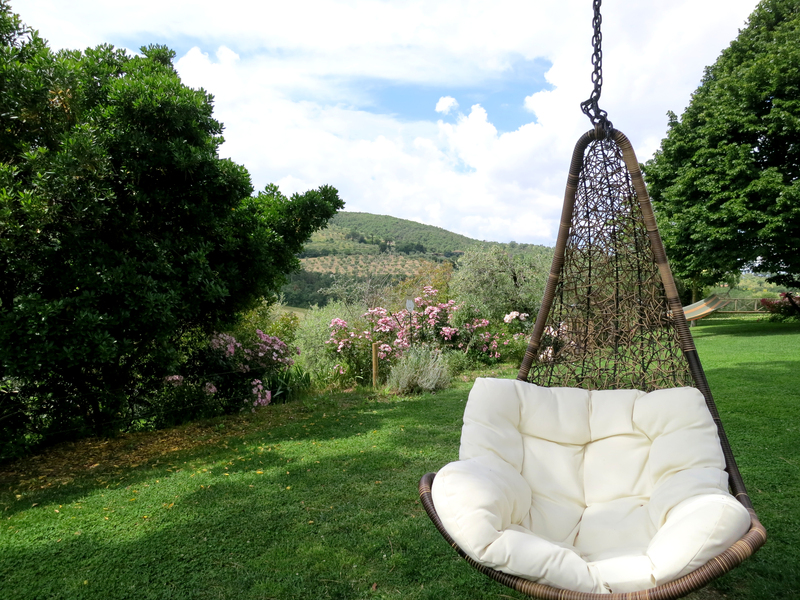 Well, I recently spent a day cooking and eating slow food in Italy deep in the hills of Umbria. One highlight was FINALLY learning how to make my favorite pasta and cooking with saffron (above) didn’t hurt. 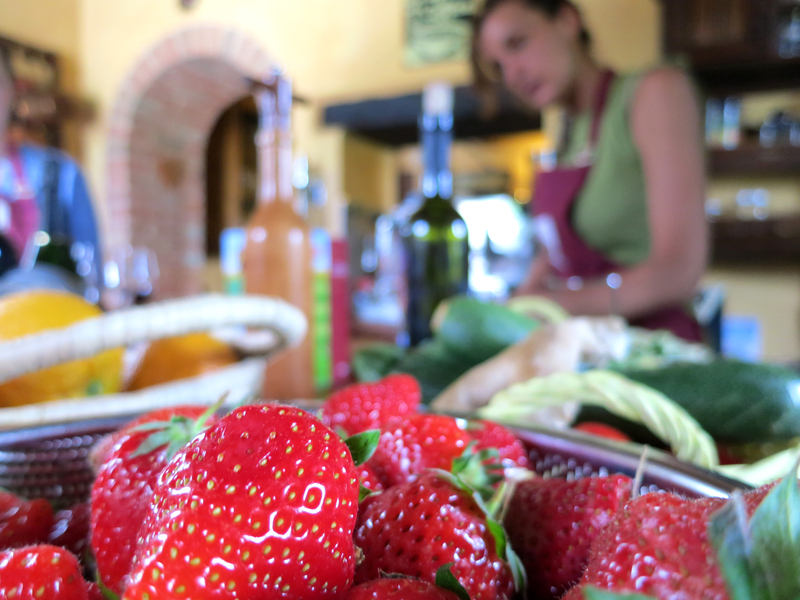 Slow food in Italy is part of a global belief and practice based on the Slow Movement. The ideology is to eat organic, sustainable foods. 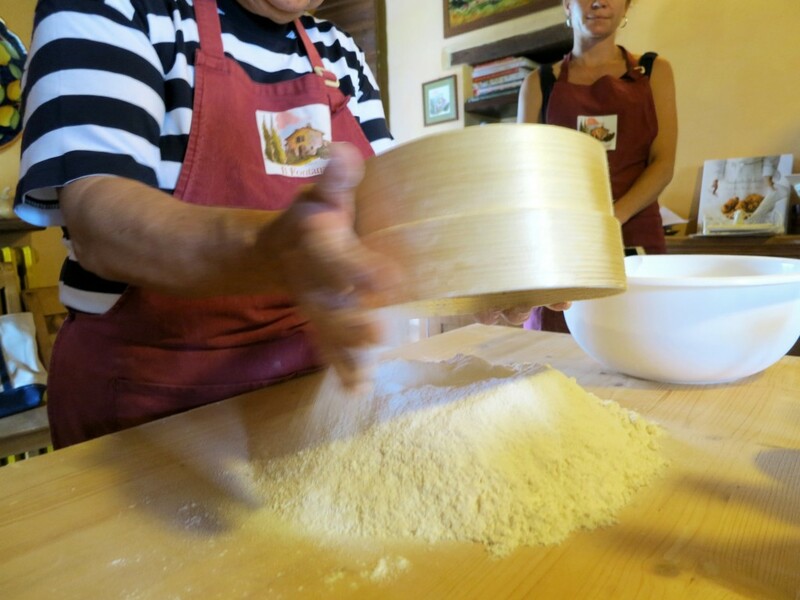 I was invited to join two families on an organic cooking and tasting adventure in Umbria thanks to Walks of Italy—Grazie mille! 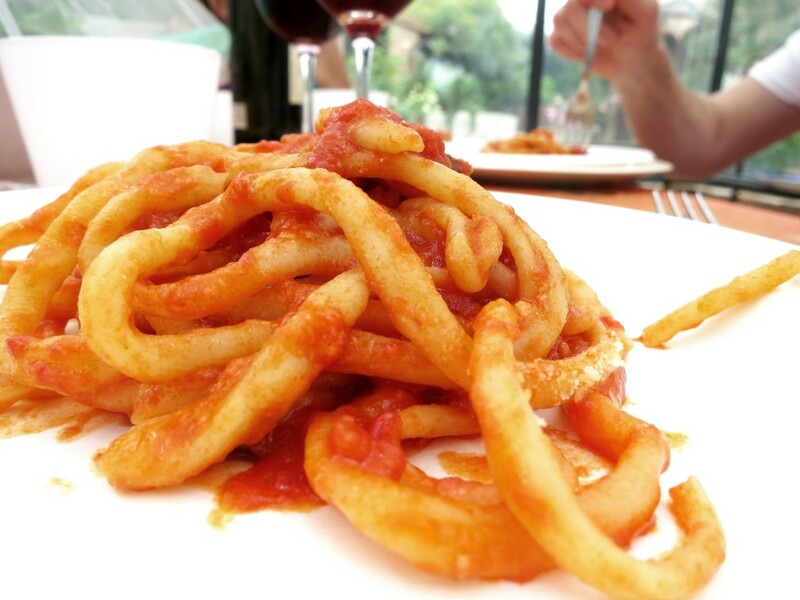 I’ve never been to Umbria nor have I ever made pici pasta, which was on the menu. Pici is my weak spot, so I was off to learn how to make this carb heaven and try organic oil and red wine. After a two hour train ride from Firenze SMN to Chiusi there she was, Alina. Alina is what you would expect from an Italian women: tall, tan and beautiful. She’s the owner (along with her mother) of Fontanaro and all the goodies you’ll read about below. She zipped up to the train station in her Mini and took us back to her farm/villa. Can someone pahlease pass me a margarita, an organic one! As we pulled up to the property I wished that I brought a toothbrush so that I could have stayed the night, or rather a month! Oh wow, it was something else. 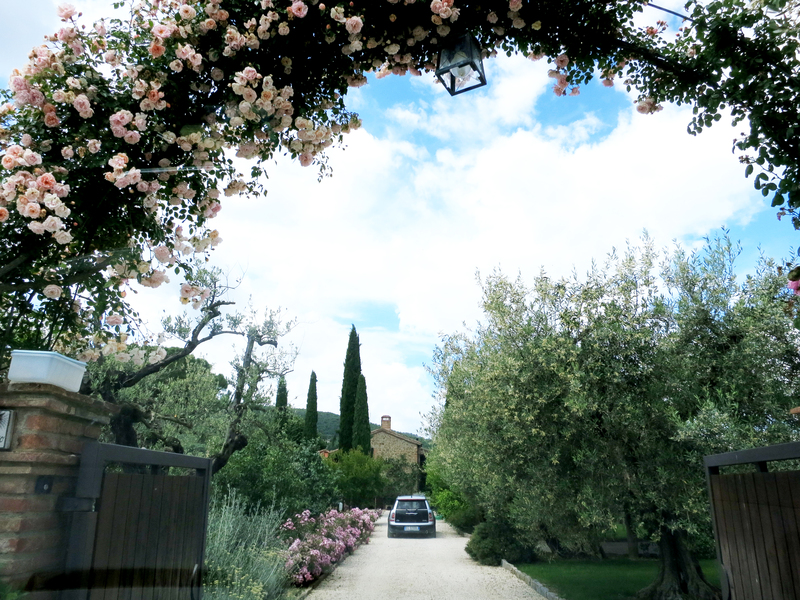 The property was in full bloom, freshly cut and so… well, Italian. 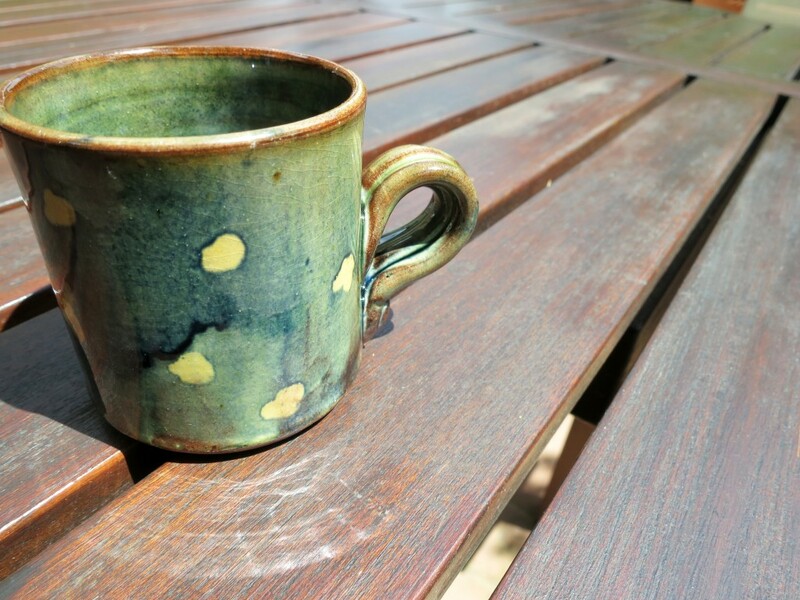 Before Alina took us on a tour of the grounds she offered us a caffè (espresso), which I thought was a sweet touch. We then walked over the hyper green lawn towards the infinity pool and jacuzzi over looking the countryside. Why did I not bring a bathing suit!? 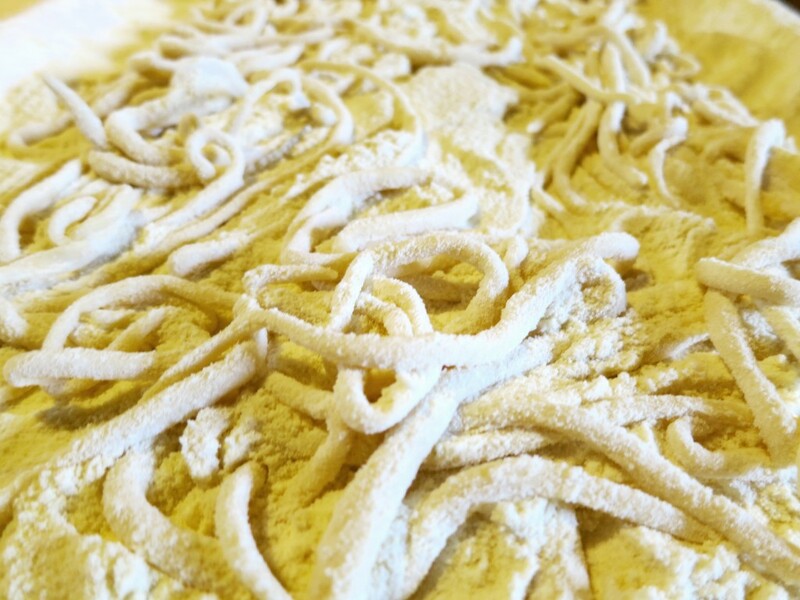 Oh, right, we had work to do—lots of pasta to prepare and eat! 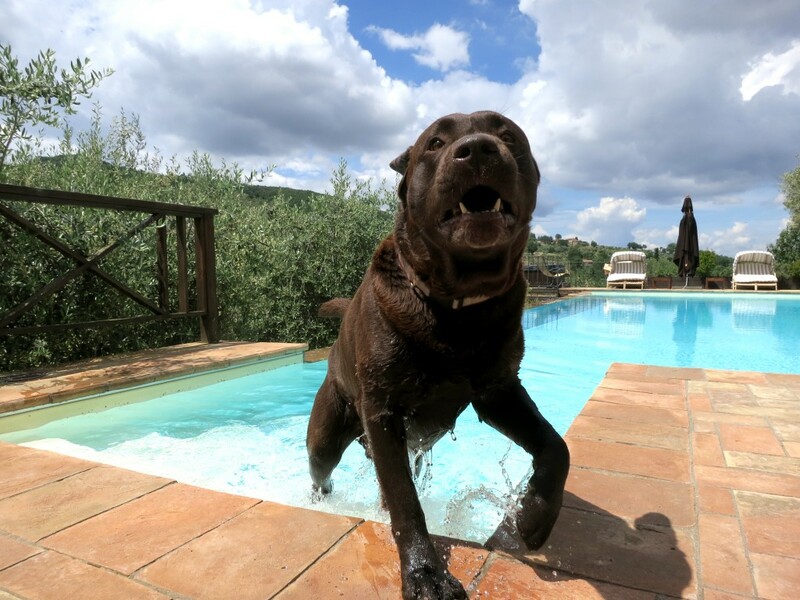 I did get a tad bit jealous when Bacco—the 4 yr old gorgeous chocolate lab—jumped in against Alina’s wishes. Shhh, don’t tell Alina’s mamma you saw this or Bacco will get in lots of trouble, and so will Alina! 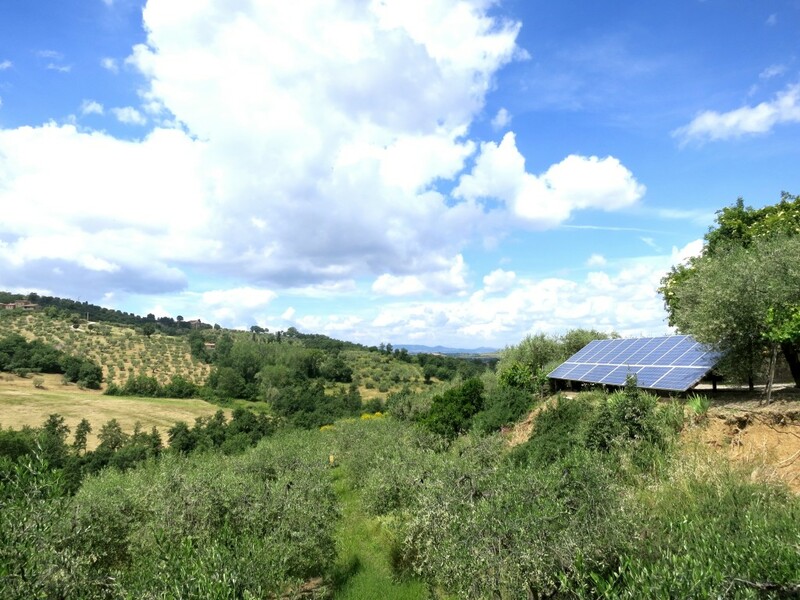 We spotted the 30kw of solar panels which powers the property—making them self-sufficient—plus the endless view of vines and wild foliage. Breathtaking. The villa itself dates back to 1893. The original owner practically helped provide water for the nearby village hence the name Fontanaro, derived from fontana, meaning fountain. 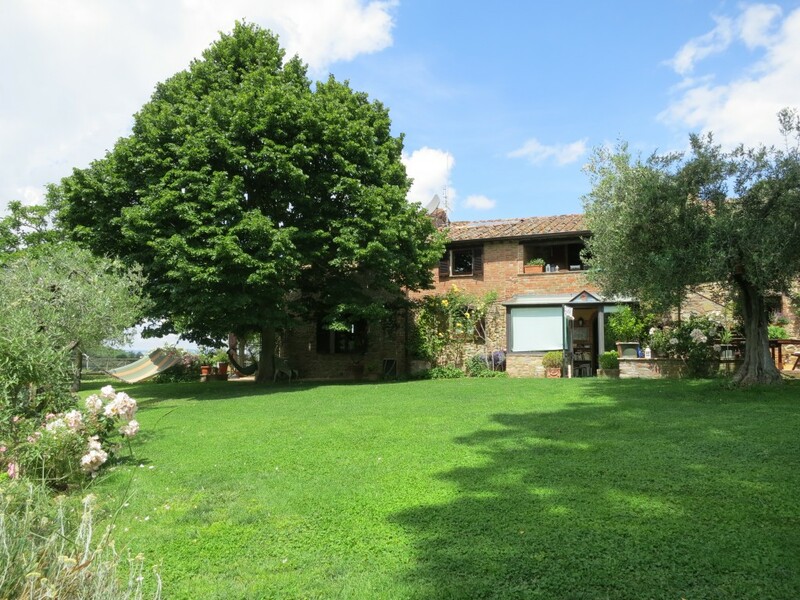 Alina and her family purchased the property amongst many neighboring villas and restored them all with their simple, Italian charm. 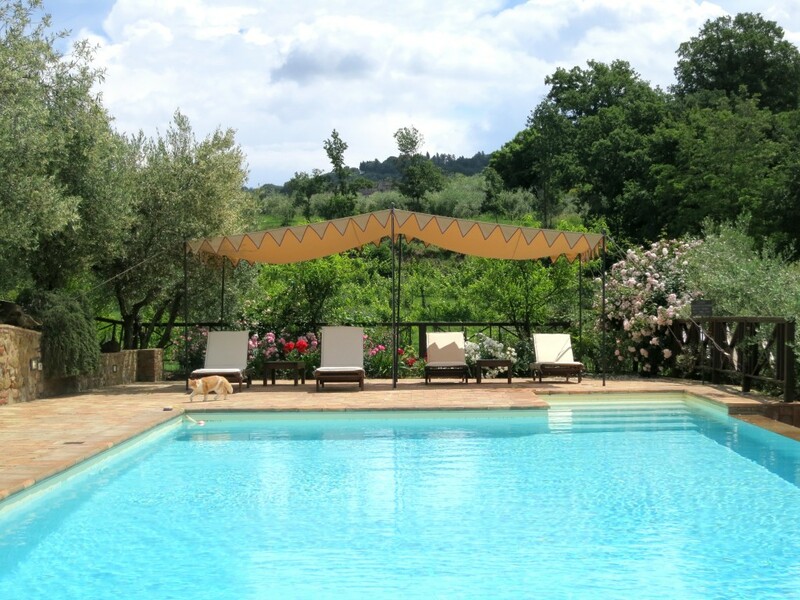 It was a vacation home for Alina when she was younger and has now been converted into an organic farm and villa open for cooking classes and vacation rentals. Alina is an official sommelier who has passed all the necessary examines. A course I wish I dedicated three years to too! She took us down to the brick vaulted cantina where she stores hundreds of bottles, many being from her very own vineyard out back. 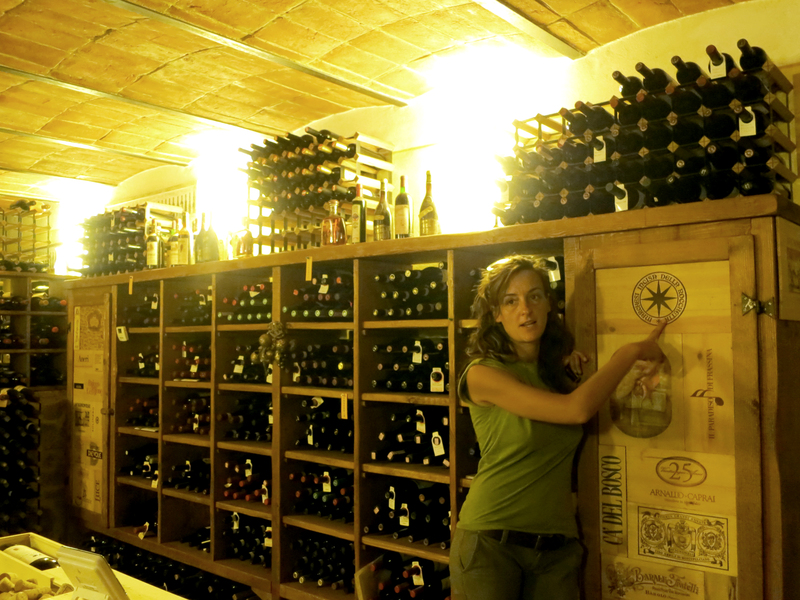 She has vintage bottles, jeroboam bottles and many reserved for very special occasions like cooking classes! The best wine label I’ve ever seen was one Alina designed and named herself. I love it because the wine is simply called My Wine! You get it? Can you pass me my wine? Brilliant! Her vineyard produces 700-800 bottles a year and can be exported, so check out the online store at the bottom here. 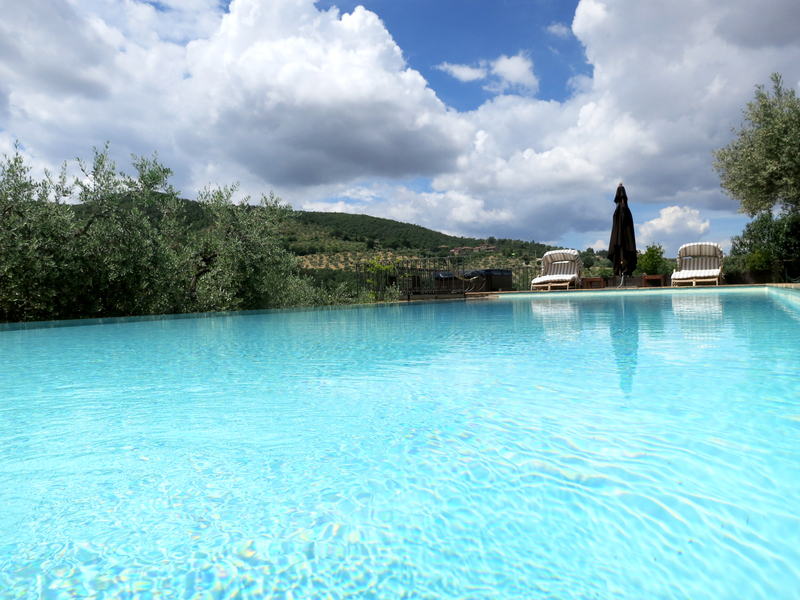 If that didn’t impress you enough they also make their own organic olive oil made from the 2,500 olive tress on property. It’s FDA approved too. Alina was extremely informative about all the wonderful benefits real olive oil offers, unlike synthetic oils that you can typically find at the grocery store. It is said to prevent alzheimer’s, cancer and gastritis to name a few. Luckily, we cooked with it and ate every dish with it. Now for the messy part, which is always most fun. We made pici pasta, finally, I was so excited! After the dough was made we rolled it out into a long strings. Then to pull on it even more we picked up the ends and twirled it like a mini jumprope. Too cool! My first pici pasta and hopefully not my last. 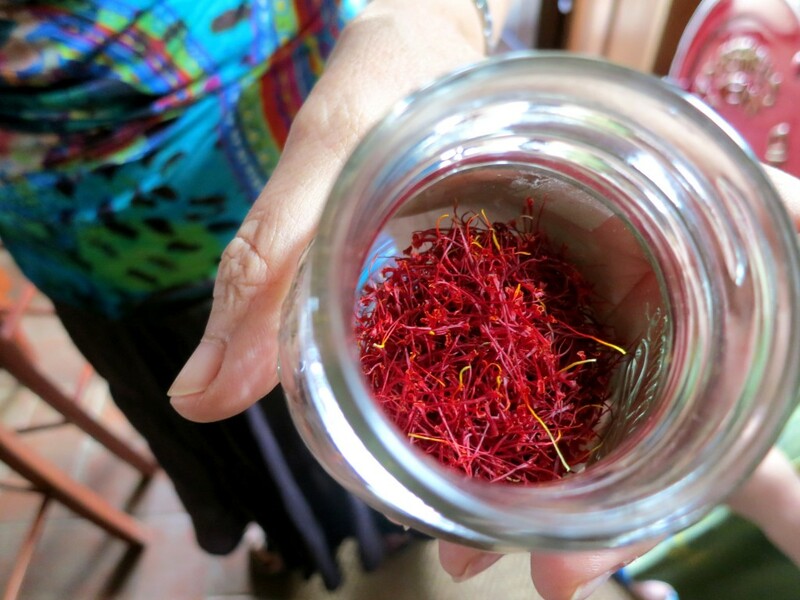 While Alina’s mamma was cooking up the risotto and carbonara she also showed us her freshly dried saffron from their backyard and explained how to make the best risotto. She added sausage and zucchini, my absolute favorite! 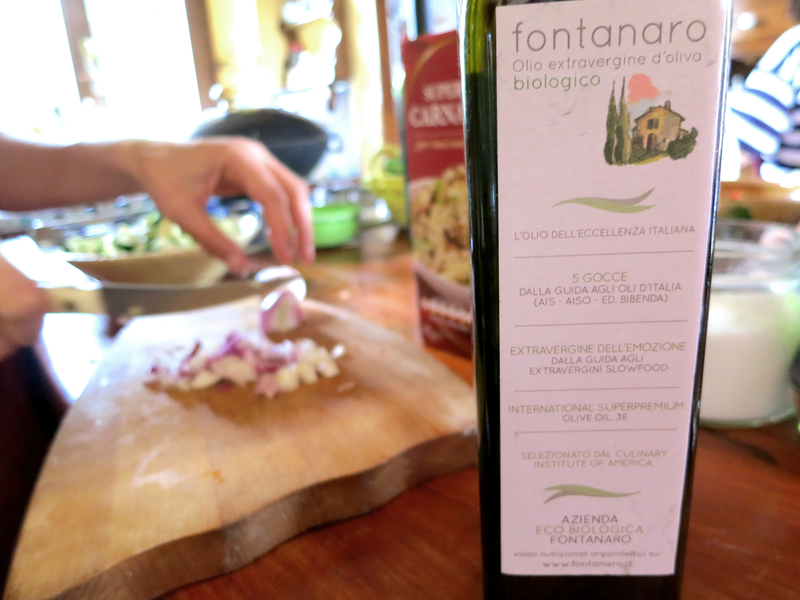 I loved how we were given complete recipes of every dish we prepared and ate that day, something to always remember Fontanaro by… and hopefully prepare again in my own kitchen. If this is what slow food looks like then pass the fork! Here’s the most beautiful risotto I’ve ever seen. Once we tasted a couple of bottles of wine and chipped in with the cooking it was time to sit in the greenhouse type dinning area outside by the house. All the food was brought out beautifully plated with more wine. We were all shocked at how gorgeous OUR food looked. Maybe Alina’s mamma threw away our batch and had a back up just in case!? It was really delicious. 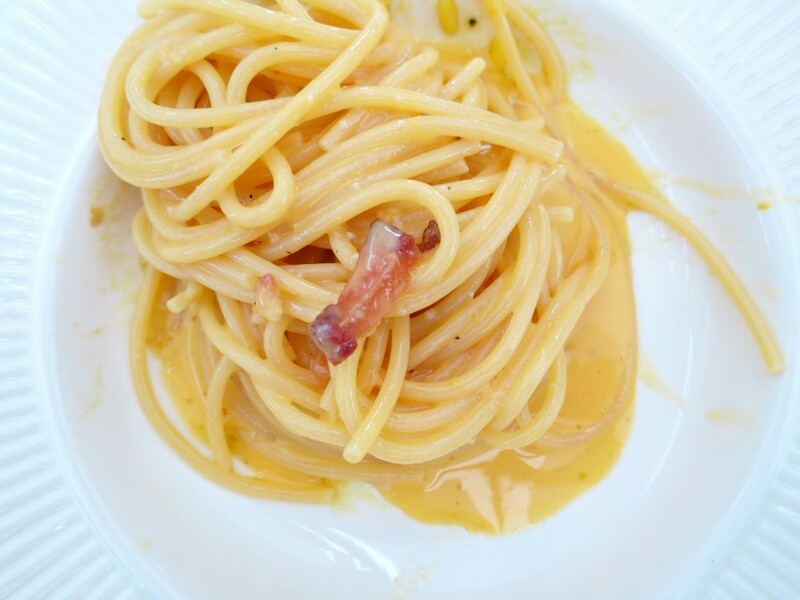 I somehow found room to eat saffron risotto, spaghetti alla carbonara and pici al pomodoro. Never have I indulged in three plates of carbs in one sitting before—I like the idea. And now… for dessert. The freshest of the freshest tiramisu! The kids from one of the families helped the most with this one, so I can’t take any credit besides indulging in it. 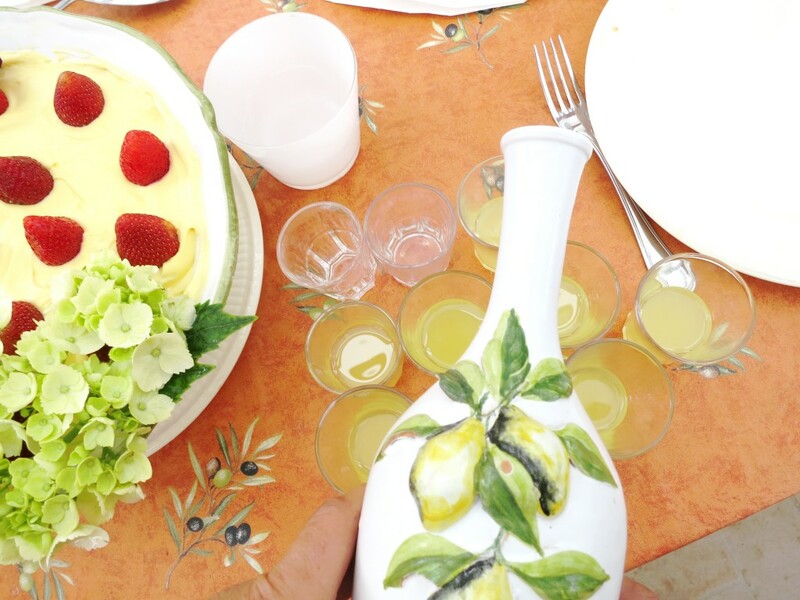 Let’s NEVER forget the homemade limoncello! This day was the perfect way to spend an afternoon outside of downtown Florence. 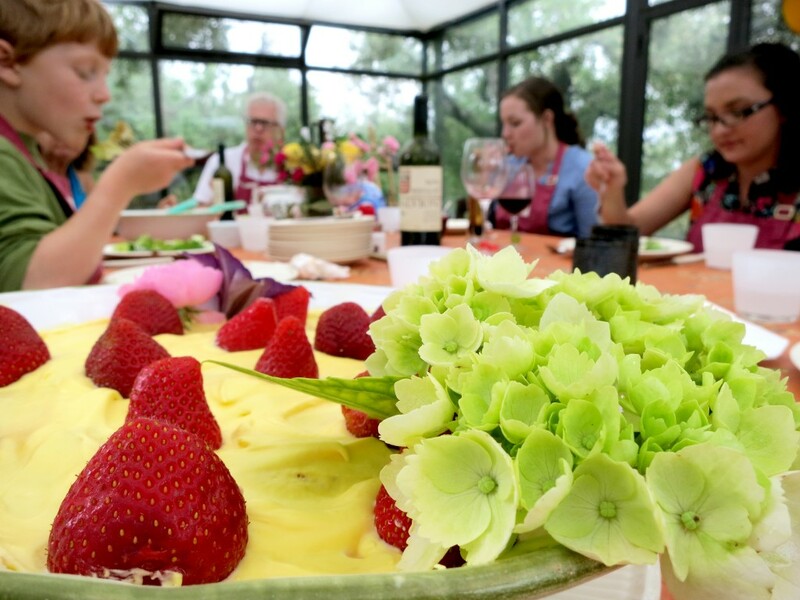 I was able to experience how others lived and learned their slow food cooking tips first hand. A day at Fontanaro re-instilled my love for fresh produce and cooking with the best ingredients, I just tend to leave the actual cooking up to my husband! *Walks of Italy treated me on this amazing day, but all thoughts are my own. Anyway, I was recently given some saffron and am totally stealing the idea to make saffron risotto with sausage and zucchini!! 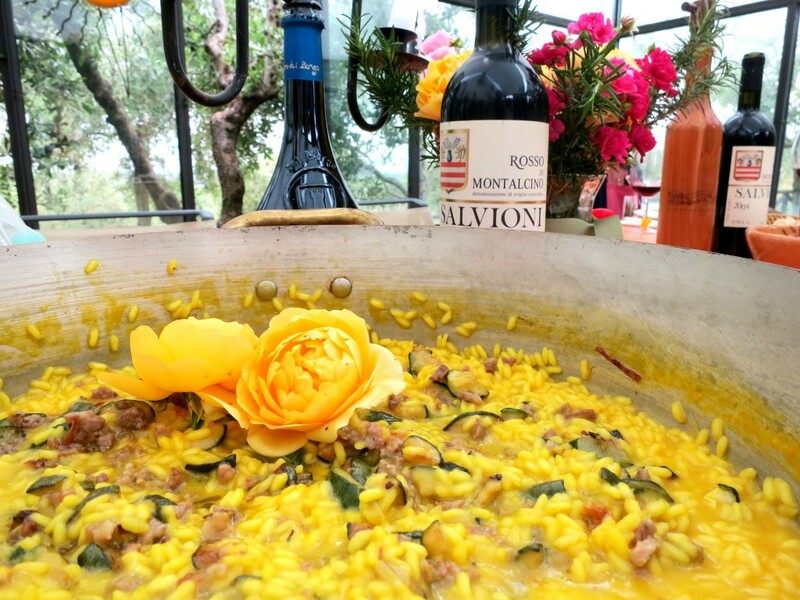 Yum, that risotto was out of this world plus the saffron adds such a great punch to it… taste and color. Let me know how it goes! Wow, I have never made gnocchi before and I love them so I should get on it! 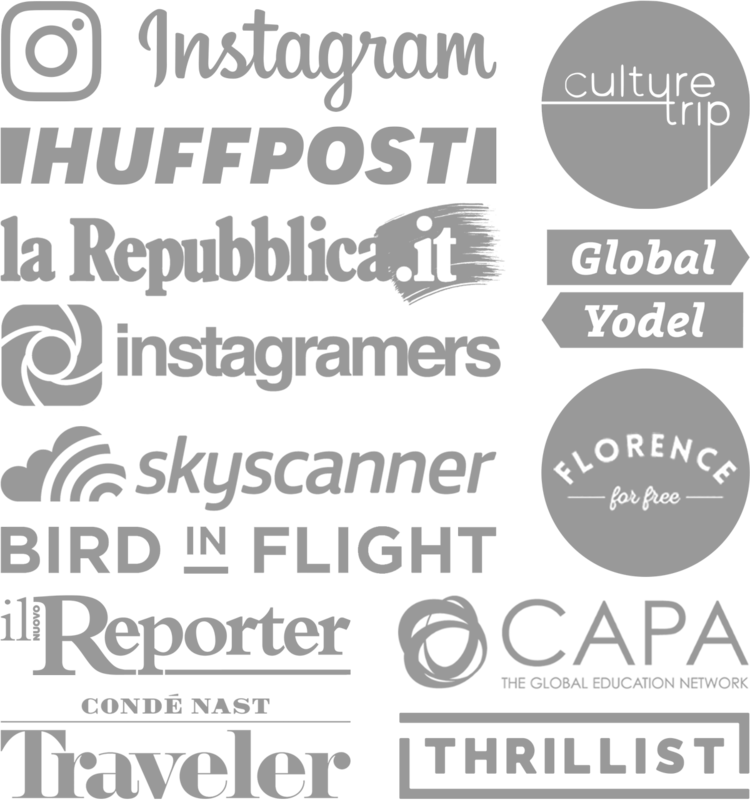 We were lucky enough to spend a week at Fontanaro in June! The day of slow cooking with Lucia & Alina was a highlight and my friends & family at home have enjoyed the results of my new skills. 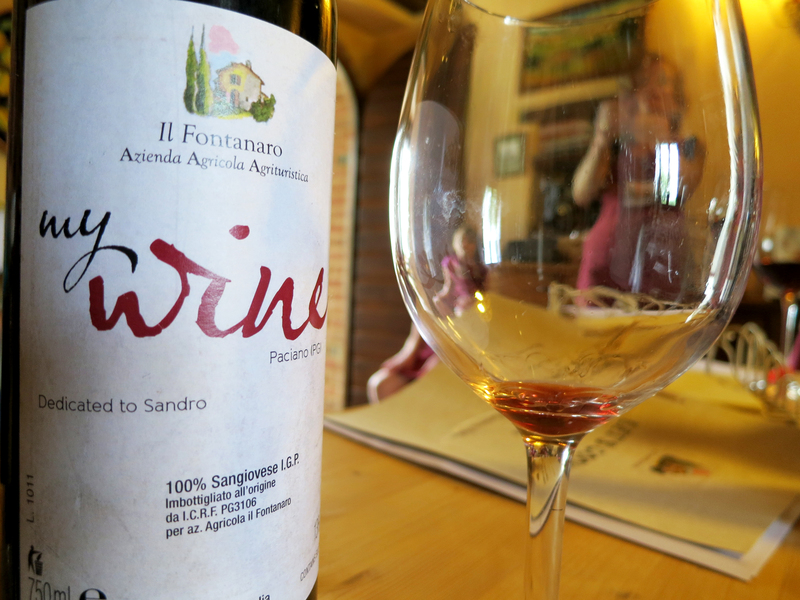 We loved everything about Fontanaro and I am already planning our return trip! Sounds great Karen! Some people recognized my photos on Instagram and said they fell in love with it to when they visited, so it must be quite a popular place. Looks amazing. The slow food movement is definitely something I can get behind. The photographs are making me way too hungry though! The food looks delicious, we’ll be doing something similar in Tuscany soon, can’t wait!